Type and tolerance makes me think about multilingual typography and typefaces supporting all possible scripts. Trends change. In type design they can hardly be followed, you are already late when you can see a particular trend. The first thing that popped up in my mind thinking about type and trend is reversed contrast. A few years ago it became a thing to add reversed contrast to any kind of typeface. It can be nice, but it can also be forced if it is just applied as an additional parameter in order to bring originality to a project. Thinking about type and beauty I immediately think about Lexicon by Bram de Does, I love this typeface. To me type and tradition is definitely Caslon. Caslon was the first serious and a very traditional typeface project I started working. Selling your typefaces and especially having your own foundry. It is a different from the actual design world, but I find it an important part of the job. Maria Doreuli is a type wonder: she is a designer from Russia and founder of the contrast foundy. 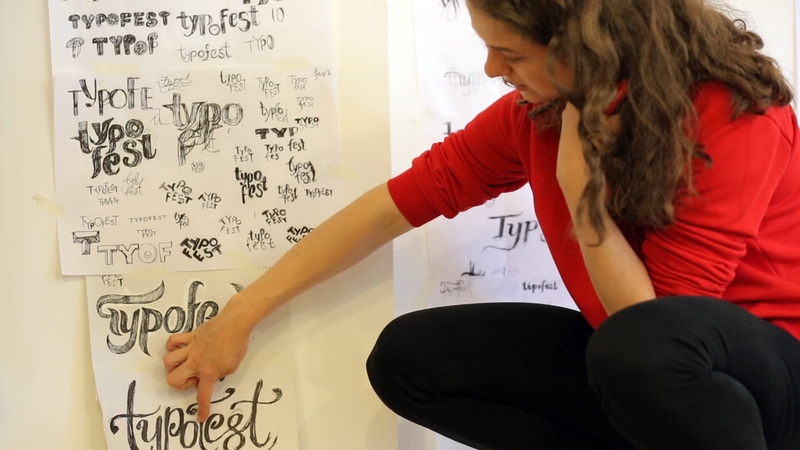 She designed the wonderful Chimera typeface during her master at the royal academy of arts (NL) and shares her experience at type workshops.